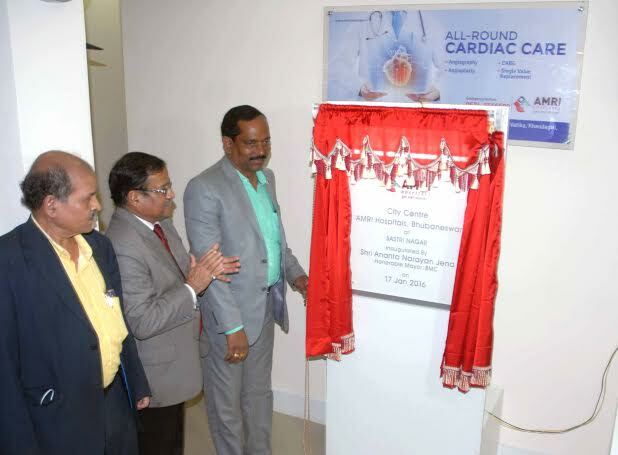 In an endeavor to reach out with world class medical care further closer to the people of Bhubaneswar, AMRI Hospitals, Bhubaneswar, a 400 bedded multispecialty hospital has opened its first OPD & Information Centre (City Centre) for the city at Sashtri Nagar, located next to “The World” Mall and Kalinga stadium. The City Centre, located right at the heart of the city, will have three chambers where people can come and consult specialist doctors. This facility, with a well-furnished waiting area, will also offer services like Home Sample Collection, free pick up and drop Ambulence services for critical patients, and ECG. A BLS (Basic Life Support) Ambulance will also be stationed at this centre to cater to any medical emergency, if required. The centre will remain open from 8.00 A.M to 8.00P.M every day. Prior to this, similar centres have been started by AMRI Bhubaneswar in other cities like Puri, Angul and Berhampore which have been found to be highly beneficial for the medical needs of the local people of these regions. The hospital with world class infrastructure and ambiance located at Khandagiri has been operational since January, 2014 and has been providing latest state-of-the-art Medicare at a very affordable cost. Within a very short span of time , AMRI Bhubaneswar has been able to introduce all the broad and super speciality services including kidney transplant. AMRI, Hospitals, Bhubaneswar is, a part of the AMRI Group of Hospitals, Kolkata , the largest and the fastest growing chain of private hospitals in Eastern India.